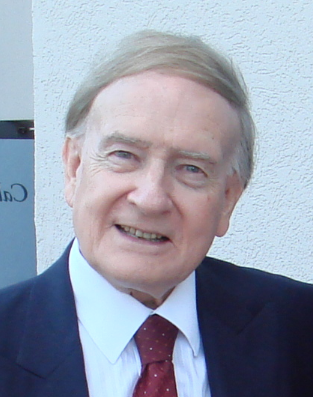 Richard Bewes: Salvation is achieved by the Trinity! Salvation is achieved by the Trinity! Dig out a Bible, and you will see it in Ephesians 1, verses 3-6. Our heavenly Father has PLANNED it all! This is his delight from eternity. This is the special function of Jesus – he has DONE it all! Check your verses! (‘in him – v.4; ‘through Jesus Christ’ – v. 5; ‘in the One he loves’ – v. 6; ‘in him…redemption through his blood’ - v. 7.) And look further on in the passage – it’s everywhere! What Christ has done FOR believers, the Holy Spirit does IN believers; he has APPLIED it all! Bible check - ‘Having believed, you were marked in him (Jesus) with a seal, the promised Holy Spirit, who is a deposit guaranteeing our inheritance…’ (v. 13,14). The ‘seal’ of the Spirit - in the changed and changing life of even the newest believer – is, as the term suggests, God’s mark of genuineness, the stamp of his ‘ownership’ and the guarantee of our security - for ever!